However, according to ABI Research, a market-foresight advisory firm providing strategic guidance on the most compelling transformative technologies, the explosive growth forecasted by others is hugely over-estimated. ABI Research's projected revenue for sUAV agricultural services is US$3.2 billion by 2025. "ABI Research gives comparatively conservative estimates at the valuation of the drone-ag market for many reasons, including an increasingly consolidated market, and the actual needs of the farming industry," says Rian Whitton, Principal Analyst at ABI Research. "The overenthusiasm and exaggeration in the early stages of the industry should be subdued by the fact that drones are not the only source of aerial imaging," Whitton explains. "Satellites and manned aircraft have been providing similar services for years, and have some identifiable advantages. This emphasizes a more important point that the discussion really does not center on the hardware of drones, but on the actionable insights that are garnered by data-gathering." Where this comes from is far less important that the solutions it provides, and this is a key reason why so many companies in the vendor ecosystem provide cloud-services and specialist software for analyzing different vegetation indices. Whitton continues, "As argued, the key resource in this market is not the drone, but the data from the aerial imagery, and the ability to gain predictive and prescriptive intelligence from that data. Drones are but one of many platforms that can provide aerial imaging. For the foreseeable forecast, one can expect drones to become more popular, but manned aircraft and satellites will still play a critical role in the aerial imaging market." There has been a history in farming of leasing technology. This is because, despite being a historically enormous industry, agriculture has been owned by a plurality of actors, most of whom lack the necessary capital to buy and maintain in-house technological solutions. With aerial imaging and analysis, you don't only need the hardware, operating system, and software to conduct the mission, you also need to maintain the solution and derive insights from it. 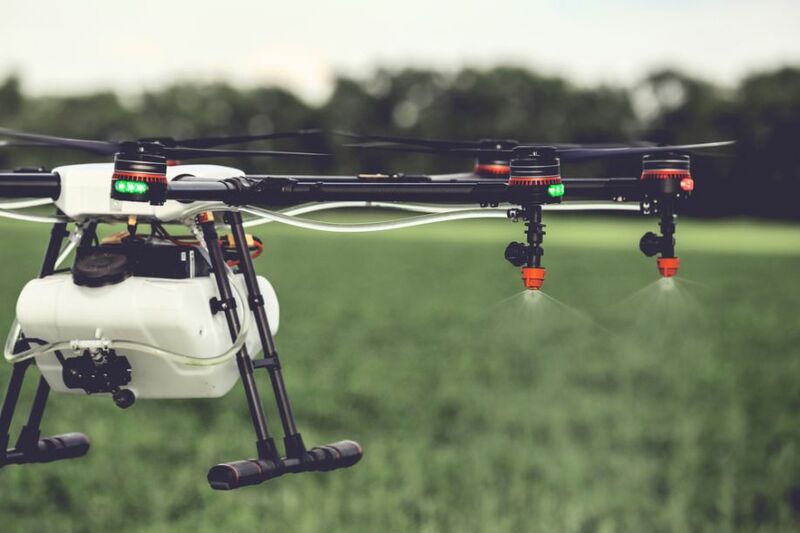 Within a small timeframe, the sUAV-Agriculture ecosystem has evolved from a select number of hobbyists and drone manufacturers, to a multi-billion-dollar industry that is now serviced by the world's largest aerospace giants. "Commentators, investors and onlookers should not let the many caveats and the legitimate issue of industry hype distract from what is an exciting technological and commercial development for a key primary industry," Whitton concludes. These findings are from ABI Research's Small Unmanned Aerial Systems for Agriculture Applications report. This report is part of the company's Robotics, Automation & Intelligent Systems research service, which includes research, data, and analyst insights. ABI Research provides strategic guidance for visionaries needing market foresight on the most compelling transformative technologies, which reshape workforces, identify holes in a market, create new business models and drive new revenue streams. ABI's own research visionaries take stances early on those technologies, publishing ground-breaking studies often years ahead of other technology advisory firms. ABI analysts deliver their conclusions and recommendations in easily and quickly absorbed formats to ensure proper context. Our analysts strategically guide visionaries to take action now and inspire their business to realize a bigger picture.